Memorial services for Larry J. Pigors, 73, of Aberdeen will be 2:00 p.m., Wednesday, October 10th at Paetznick-Garness Funeral Chapel, Groton. Rev. Samuel Bobby will officiate. Inurnment with military honors will follow in St. Paul's Cemetery, Ferney under the direction of Paetznick-Garness Funeral Chapel, Groton. Visitation will be two hours prior to the service on Wednesday. 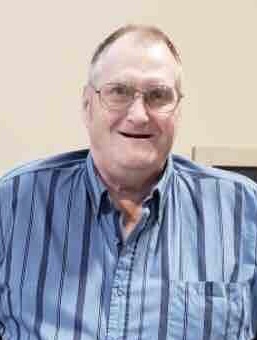 Larry passed away October 6, 2018 in Canton, South Dakota. Larry James “Clutch” was born on June 16, 1945 in Aberdeen to Ewald and JoAnn (Vandebrake) Pigors. He attended school in Ferney and graduated from Groton High School in 1963. On September 28, 1965 he enlisted in the US Air Force and served overseas in Guam during the Vietnam War. During his service, he was Sergeant at Arms and conducted many funeral military honors. Following his honorable discharge in January of 1969, he worked for several years in New Hampshire. Larry returned to South Dakota to help his dad on the family farm. On May 18, 1973 he was united in marriage with Elaine Rose in Groton. Together they were blessed with three children. Larry began working for the State Highway Department in 1978. Larry was a member of St. Paul's Lutheran Church in Aberdeen. He also belonged to the Groton American Legion. In earlier years, he enjoyed hunting, fishing and camping at the lake. Larry enjoyed watching Nascar Racing and NFL Football, especially the New England Patriots. Celebrating his life though memories is his wife, Elaine of Aberdeen, his children, Brent (Ashley Brooke) Pigors of Montpelier, Virginia, Tracy Pigors of Sioux Falls, Sheri Pigors of Sioux Falls, two grandchildren: Landon and Kaylee Opitz, two brothers, Kenneth Pigors of Ferney, Greg Pigors of Ferney and his sister, Jeannie (Dan) Proulx of Alaska. Preceding him in death were his parents, one infant brother and his grandparents.